This world it’s hit me in my face. It’s hit me over my head. I ain’t dead! I ain’t dead! In thornybushes like I said. 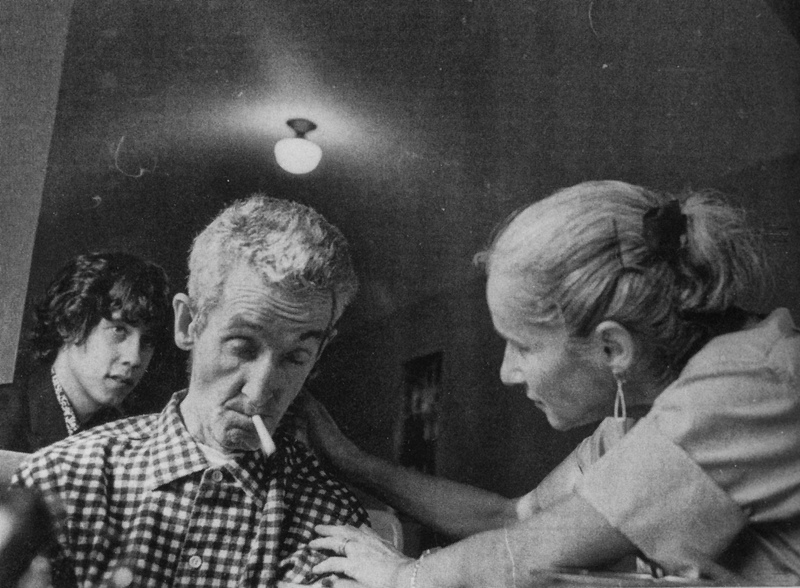 A month before he penned “I Ain’t Dead,” Guthrie had received a devastating diagnosis, one that he’d feared his entire adult life: he had Huntington’s chorea, the same illness that led to his mother’s institutionalization shortly before his 14th birthday. 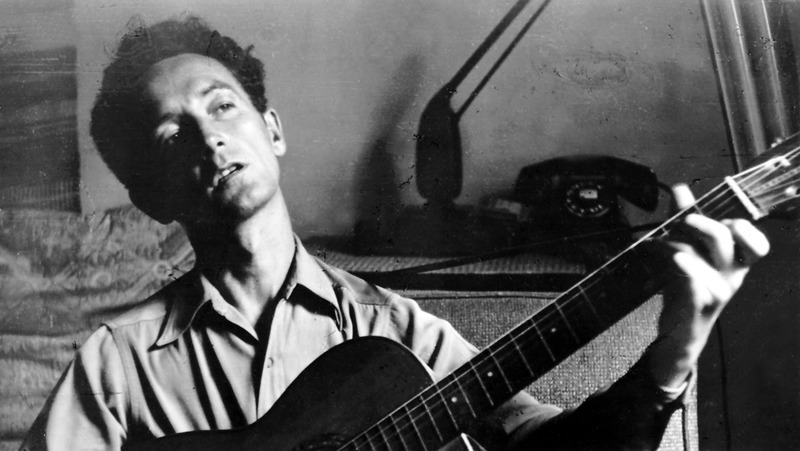 A defender of union workers and fighter of Fascism, Guthrie had made a habit of staring down trouble. Now he was taking a stand against the trickiest adversary he’d ever faced, a defective sequence of his own DNA. Guthrie and his second wife, Marjorie, who cared for him even after their divorce. Determined that Woody “feel that he is still a part of life and living,” Marjorie piled the three kids in the car on Sundays and drove them from Howard Beach, Queens, to the Greystone Park Psychiatric Hospital in Morris Plains, New Jersey, where Woody lived for nearly five years. Woody and Marjorie tried to maintain as much of the “joyousness that Woody had with kids” as they could, even on the hospital grounds. Each week, the family would picnic together under the leafy tent created by the sweeping branches of a large tree. 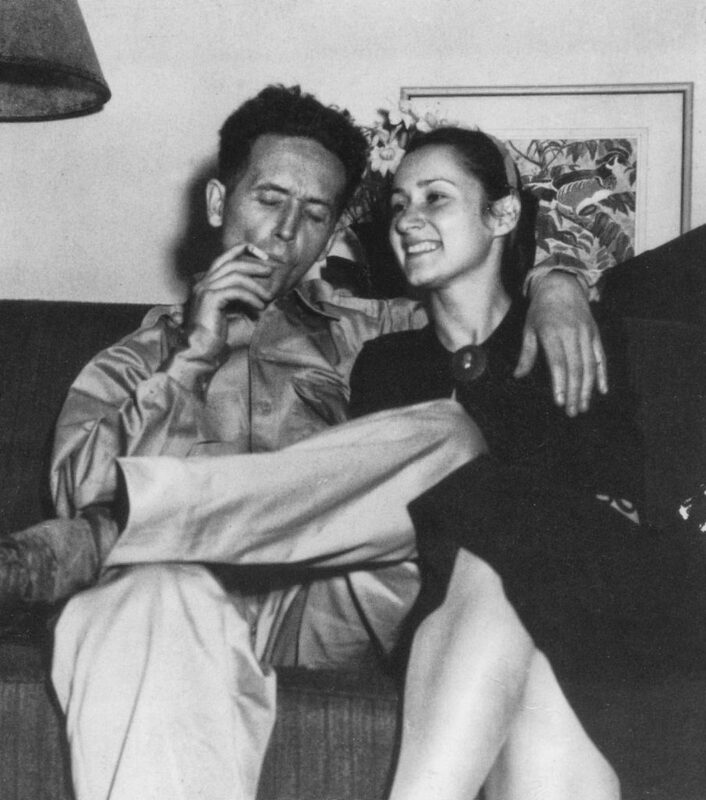 Robert and Sidsel (Sid) Gleason also hosted Sunday hootenannies for Guthrie in their fourth-floor apartment in the suburb of East Orange, New Jersey. The couple, who lived just 40 minutes from Greystone, would pick Woody up and drive him back to their place, where his family, friends, and fans would gather. Guthrie and Marjorie facing Huntington’s together. “I’m telling you, that was the wildest time,” said Sid. 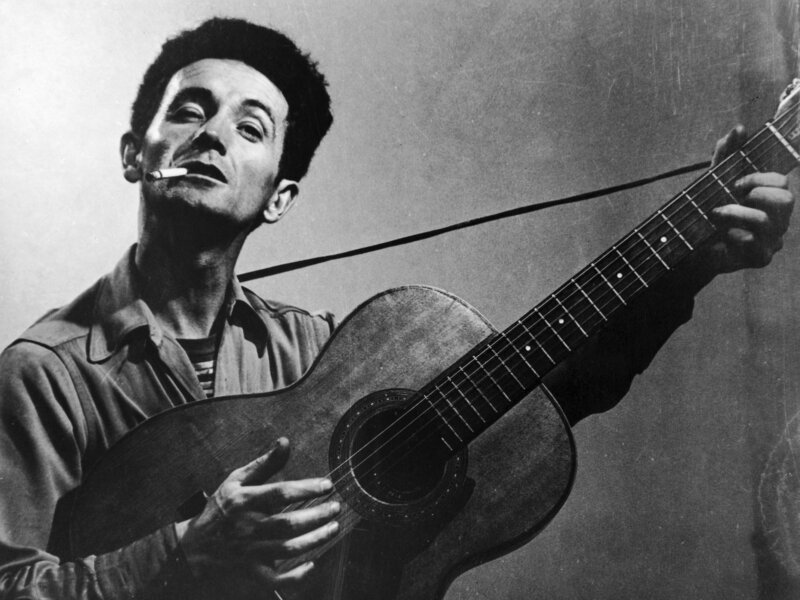 “There was one of the guys that played washtub bass, and between that and the guitar, it was a pretty wild affair. The people down on the first floor were just about crazy, ’cause it made such a funny noise downstairs.” Arlo would join in, too, playing the three-quarter size Gibson his dad bought him for his fifth birthday some eight years earlier. One of Guthrie’s most iconic photos.